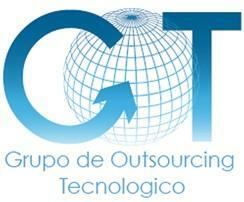 Group de Outsourcing Technologic (GOTSA), a Business Intelligence (BI) consulting company with a presence in Mexico and Colombia, has signed a reseller agreement with global BI and analytics software vendor, Yellowfin. The Yellowfin – GOTSA partnership was launched at an official Yellowfin event, hosted by GOTSA, at the Marriott Hotel in Mexico City. The launch discussed emerging BI technologies, market trends, and showcased Yellowfin to over 100 attendees from the telecommunications, retail, finance, insurance, transportation, healthcare, education and oil industries. GOTSA’s first direct Yellowfin clients include insurance company Ana Seguros, Pharmaceuticals manufacturer Licon Pharma, and retail outlet Ferretera Cravioto. “Yellowfin’s Mobile BI capabilities are particularly impressive, enabling anyone to access intuitive data visualizations anywhere, anytime and on any platform or device,” said Ana Seguros CIO, Juan Jesus Pineda. Mendoza said GOTSA decided to partner with Yellowfin as a result of customers wanting a more interactive and engaging experience with their data. Mendoza said that Yellowfin’s sophisticated Location Intelligence capabilities – the ability to join traditional business data with location-relevant information in map-based visualizations – were another deciding factor in the partnership agreement. “With Yellowfin’s Location Intelligence, we were able to map critical metrics, such as sales levels or number of clients by regions, and demonstrate to our prospects how they can use this valuable information to help generate expansion strategies,” said Mendoza. Yellowfin General Manager of Asia and Latin America, Simone Clancy, said GOTSA’s proactive approach would help expand Yellowfin’s presence throughout the Mexican BI market.